Mowzey's Death: Who is Telling the Truth? 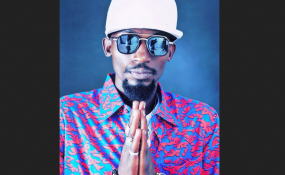 The mood was sombre as thousands made their way to the late Mowzey Radio's Neverland home in Makindye Luwafu to pay respect to the artiste that breathed his last on Thursday morning at Case Hospital, Kampala. Radio's friends, fans, family and fellow musicians all gave glowing and touching tributes to a man that was considered one of the greatest vocalists Uganda has ever produced. And yet this did not stop mischief, chaos and violence from going down. Singer Chameleone proved that he did not learn much from the bar fight that claimed Radio's life when he, together with his gang, beat up fellow musician Fik Fameika at the vigil. Is There Anyone to Blame in the Mowzey Radio Case?